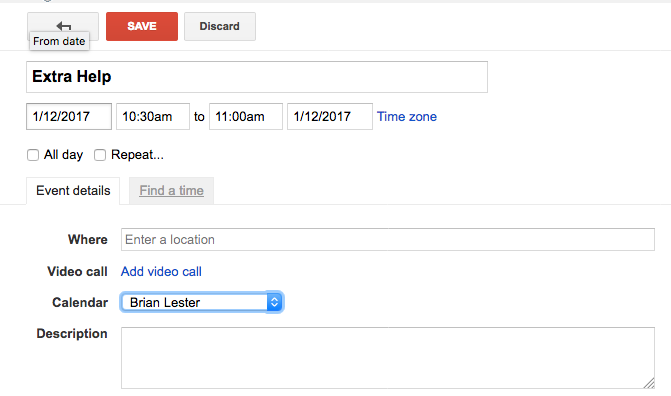 In Google Calendar (google.com/calendar) click the red ‘CREATE’ button, and fill in details such as title, date, time, location etc. Note the check box for recurring events which lets you set properties for repeated events. 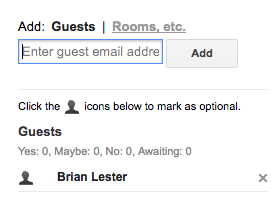 When you have entered all invitees addresses click the ‘SAVE’ button on the top right. If you click on the event in the Calendar, and click more details in the pop-up window you’ll be able to see invitees responses. This entry was posted in Students, Help Desk Articles, Faculty, Staff and tagged Google Calendar, Invitations, Meetings.